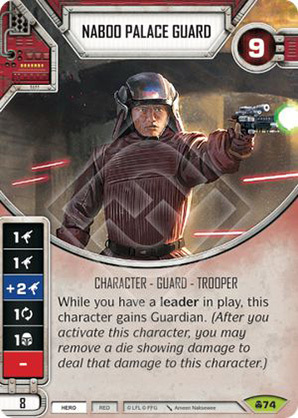 Character - Guard - Trooper. Points: 8. Health: 9. While you have a leader in play, this character gains Guardian.